You’ve held out for months, waiting and watching the market for some sign of a tablet that you think you’d like. But maybe you’re asking the wrong question. Instead of “Which tablet should I buy?” maybe you should be asking why you need a tablet in the first place? 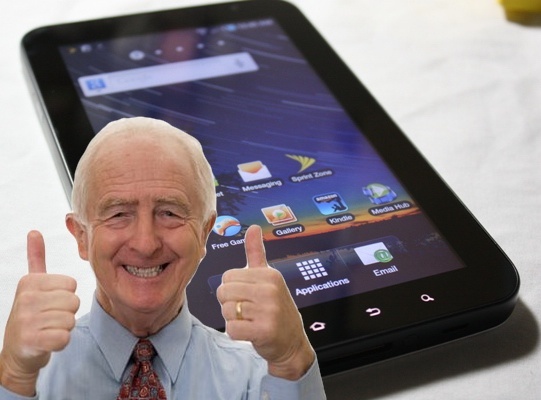 We’ve written out a brief guide to deciding whether you need a tablet at all. As for a recommendation, the two devices we can unequivocally recommend right now are the iPad and, if you’re into Android, the Galaxy Tab (although there is some talk of an upgrade coming soon). However, don’t buy right now. The iPad 2 is on its way and the Xoom, Playbook, and TouchPad, are coming soon as well. So before you break out the credit card, let’s talk about a few reasons to buy a tablet… and a few reasons not to. 1. Tablets make great e-readers. Although many would complain that the reading experience isn’t nearly as focused as single-purpose e-ink devices, and the text isn’t as legible, these drawbacks haven’t stopped users from cracking open PDFs, comics, long web articles, and so on tablets. Plus kids books are fun in full color, something Kindle can’t yet beat. 2. Tablets are portable productivity stations. There’s nothing like a calendar and an email window on a big screen. Although many of our phones now run PIM applications, the real estate afforded by a tablet makes for a far superior experience. 3. Tablets are better than older laptops. If you don’t need to type a lot, tablets will handle more content than a two-year-old laptop, and there are more modern apps and games. 4. Tablets are great for meetings. While you should probably paying attention during meetings, tablets are a great way to take notes unobtrusively and, when things get boring, play Angry Birds on mute. 5. Tablets are great for sharing photos and 1-on-1 presentations. Tablets are excellent for a communal photo sharing experience and are a boon for insurance adjusters, real estate folks, and salespeople. Having everything in front of you in cool little device sure beats firing up a laptop and running a presentation. 6. Tablets are great for movies and music. There’s nothing better in the car for kids than a copy of Cars or Dora on an iPad. Our kids love it and a tablet costs a bit less than installing soon-to-be-obsolete DVD-powered LCDs in the headrest. I also enjoy taking the iPad on a plane for movies, a job that used to go to the iPod Touch. 7. Tablets are cheaper than a new laptop. Your old coffee table laptop died and you’re thinking about a new netbook. Don’t bother. Tablets, as we said before, are on par or more powerful than a standard ~$500 laptop. 8. Tablets don’t crash. Or at least when they do crash it’s not a big deal. A quick restart is is all it takes to get them back on track. 9. Tablets are good for travel. Tablets usually work with Wi-Fi and 3G networks and the large screen and storage space is great for maps, guides, and dictionaries. Think of your tablet as a Hitchhiker’s Guide To The Galaxy. 10. Tablets are just cool. They make you feel like you’re from the future. 1. Are tablets as portable as the phone you already have? You can stick your phone in your pocket and never know it’s there, but can you do the same with an iPad or TouchPad? I don’t think so, unless your name happens to be Baggin’ Saggin’ Barry. Is carrying an extra bag to holster your tablet the end of the world? Clearly not, no, but don’t try to tell me it’s as portable as my handy little Android (or whatever) phone when it’s patently not. 2. Where are the games? And by games I don’t mean things like Angry Birds, with all due respect to our fine feathered friends. Will I be able to play 64-play multi-player in Battlefield with a tablet? Will I be able to waste hundreds of hours playing World of Warcraft? What about Crysis 2? Tablets may have their place in the world, but playing real games to the fullest will always require a discrete GPU-backed PC. 3. How much work can you do on one of these things? Do they run Photoshop? How long will it take to render video? My guess is that my desktop PC, with its overclocked (to 4.0GHz) quad-core processor and hundreds of gigabytes of free space, will be able to render a video 800 times in succession before a tablet can render a video just once. 4. “You can browse the Web with a tablet while watching TV on your couch! And movies look great on them!” All fair points, but I can already browse the Web on my couch with my battle-tested laptop, so why get another device to do the same thing? That doesn’t make much sense, does it? As for movies, well, I prefer watching them on with a proper setup—Blu-ray player, big screen TV, surround sound, the works—as opposed to watching them cramped on a train, or even hunched over in bed. 5. Something better will come along in a few months. Remember when netbooks were all the rage a couple of years ago? The future of computing, and so forth. You barely see them mentioned anymore, and that’s because tablets are the new soup du jour. In four years we’ll all be writing “Remember tablets?” articles, lamenting having spent all that money on a silly piece of transitionary technology.